You want to track your mileage or project and material costs? Enter your expenses with TimeTrack within seconds: Just select a user, assign a project and enter the amount. This is how you keep a good overview over client- and project-related costs. Also, we offer the possibility to upload bills directly over our web or mobile app. 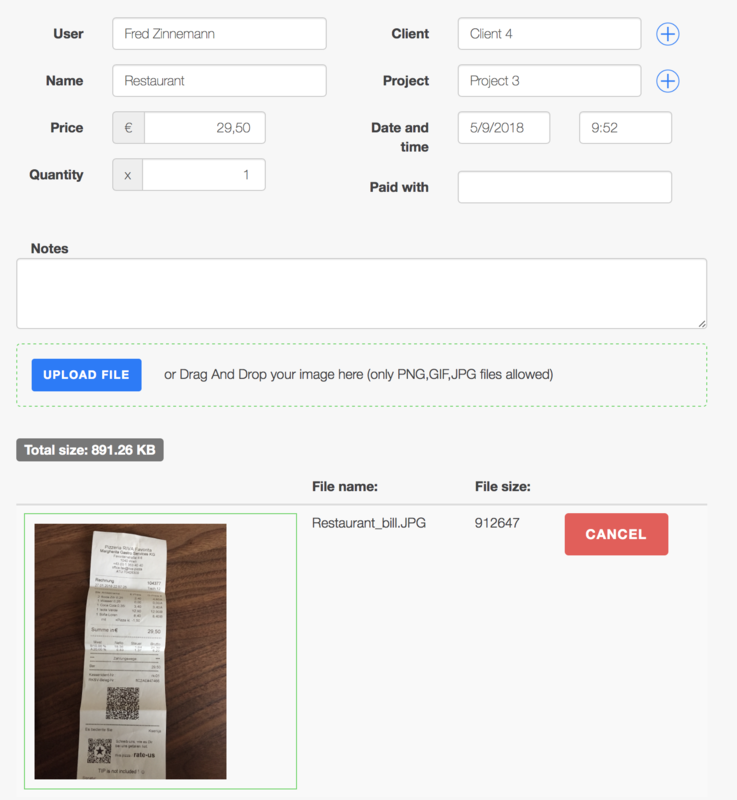 Whether you are in the office or on the way, you can take a quick picture of any bill and add it to your project-related expense. The result: entries are available immediately and you get the perfect overview! Furthermore, the expenses can be evaluated and added to the invoicing.